HONDA There are 14 products. 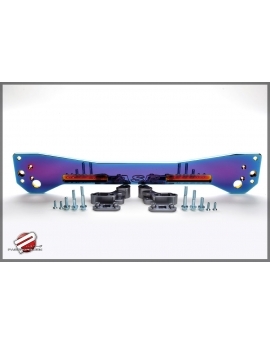 Rear Lower Control Arms 1996-2000 Honda Civic EK EJ ALL PRICE IS FOR ONE SET! 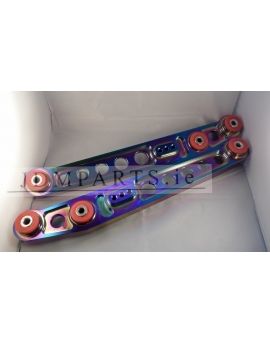 Rear Lower Control Arms Skunk2 Lower Control Arm Honda EG 92-95 LCA NEOCHROME PRICE IS FOR ONE SET! 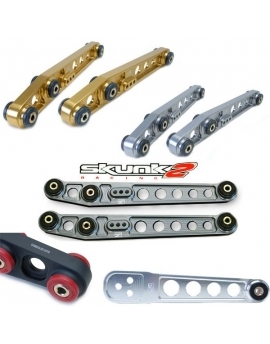 Rear Lower Control Arms Skunk2 Lower Control Arm Honda 01-05 Civic DX/LX/EX/SI EM LCA PRICE IS FOR ONE SET! 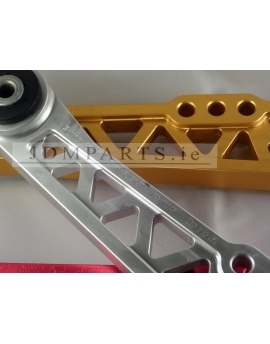 FUNCTION 7 LCA REAR LOWER CONTROL ARMS FIT FOR 92-95 HONDA CIVIC 92-97 DEL SOL 94-01 INTEGRA PRICE IS FOR ONE SET! 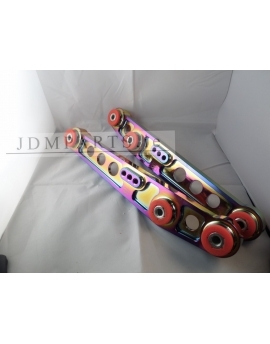 Rear Lower Control Arms honda 88-95 civic etc with not fork shock end. Rear Lower Control Arms 1992-1998 Honda Civic EG PRICE IS FOR ONE SET! 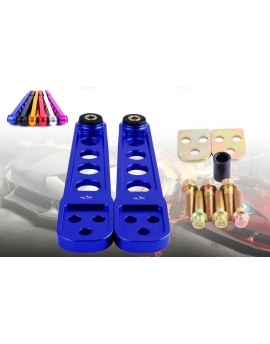 Most aftermarket lower tie-bars use a rod-end bearing type connection for proper fitment. 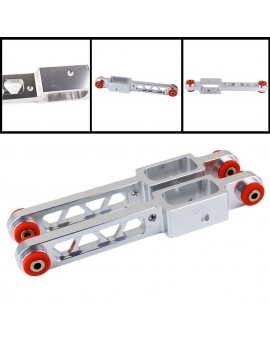 This however allows the subframe to flex under load and minimizes its effectiveness. The Beaks subframe tie-bar design has no pivot points. Its square tube configuration provides excellent rigidity and lightweight.